Parking rules are enforced at a local level, but there is a pretty consistent set of state-wide laws and associated parking signs. On-street parking in a place like San Francisco is a real art; unless you’re used to it, you’re better off using one of the many parking garages — it might cost more, but at least you won’t be towed or ticketed. Valet parking is common in busier parts of Los Angeles and San Francisco, and can save a lot of hassle if you’re in a hurry (but don’t forget to tip!). Many cities also have reasonable metered parking, either on-street or in separate lots. 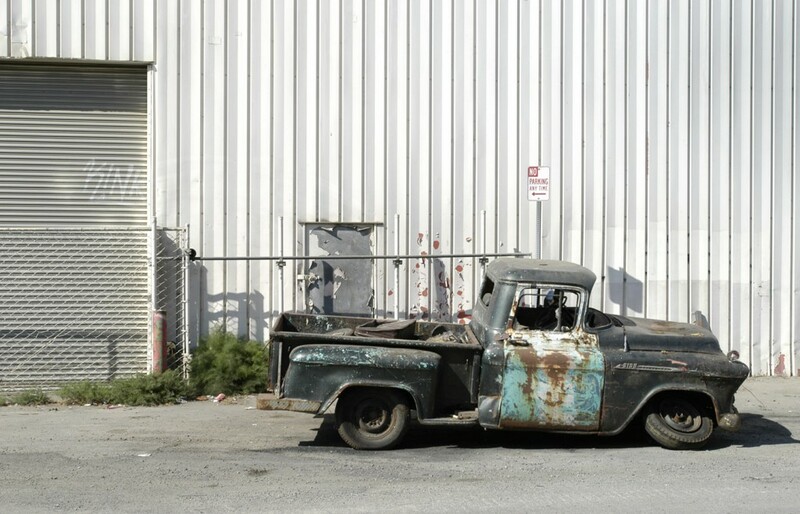 Parking violations are handled in a large variety of ways, ranging from towing and stiff fines in places like San Francisco to more gentle fines elsewhere. You are not allowed to park on the shoulder of a freeway except in an emergency. You are not usually allowed to park on the shoulders of major highways and roads. There is a consistent state-wide color scheme for marking on-street parking areas in cities and towns: the curb (or sometimes the edge of the parking slot) is red where parking and stopping is always prohibited; white where you’re allowed to stop to pick someone up or drop them off without parking (the driver can’t get out of the car); yellow where it’s OK to stop for a short while to deliver something, or where only commercial vehicles can stop to deliver things for a short while (check the associated signs); green where you can park for a short time only (usually something like from 15 to 30 minutes — the time limit will be indicated somewhere); and, finally, blue indicates a parking space reserved for cars displaying an official DMV handicapped driver placard or license plates. Anything left unpainted or gray is usually available for unrestricted parking, subject to local rules and things like metering, obstructions, other parking signs, etc. Note that green (short-term) and gray (unrestricted) areas may be metered. It’s also worth noting that there may not be any signs indicating the parking status for a given area — there may just be the color of the curb to go by. This color scheme is often also used in private parking lots. You must not park in front of a street-side fire hydrant, or in any way that makes access to the hydrant difficult in case of fire. Usually the curb next to the hydrant is marked with red paint, but don’t count on it. You can be heavily fined or even have your car towed for this. Parking on major urban or suburban roads is often prohibited during commute or rush hours — there may not be signs stating this explicitly, so look out when trying to park on busy urban streets. You are prohibited from parking so that you block intersections, pedestrian crosswalks, driveways, etc. Many parking lots have spaces marked for “compacts” only. A compact is supposedly a small car (the term dates from the 1970’s oil squeeze), but “small” is relative here…. In fact, “compact” now seems to mean “anything that isn’t a large van, truck, stretched limo or Cadillac”. Your average four-door sedan will usually fit just fine, and no one is likely to complain. Similarly, when a parking lot says something like “No Vans”, they’re usually not prohibiting the Dodge Caravans, Ford Aerostars, VW Kombis, and Nissan Quests of the world — they’re talking about Real (large) American Vans. See the earlier discussion under “How To Speak Like A Californian” for this. If you’re parking in San Francisco or other hilly urban and suburban areas, you must turn your front wheels into the curb in such a manner that if the car’s brakes fail, the car won’t roll down the hill out of control. This is a legal requirement and you can be fined for not doing this on any slope greater than about 3% in San Francisco (the details seem to vary from city to city). Alternatively, if there is no curb, you should use blocks (or something similar) behind or in front of the wheels. Metered parking nearly always has a time limit — you cannot just keep stuffing quarters into the parking meter. If the meter (or signs) say, for example, “2 Hour Parking”, you can not stay at that meter for more than two hours, no matter how much money you put into the meter. Street sweeping — many urban and suburban areas prohibit parking once a month or once a week (or more — the timing varies widely) for street sweeping. If your car is parked in one of these areas during a sweep, you may be towed (very expensive…) or fined. Street sweeping times are always posted on signs, if occasionally not as easy to read as they might be. Some larger cities have residential parking schemes, where non-residents are limited to two hours’ parking in the area on weekdays between 8am and 6pm (or similar times — the details vary). These areas are usually clearly signposted, and unless you have the relevant residential parking permit attached to your car, you can expect to be towed or fined for parking longer than the posted maximum time in these areas. Special note to Britons: in California it’s illegal (and highly dangerous) to park on the “wrong” side of the road, facing oncoming traffic. You must always park facing the same direction as the traffic on that side of the road. If you’re parking in Los Angeles, you’ll have to get used to valet parking. This is where you pull up to the valet parking station in front of your destination, hand the attendant your keys, and hope that the car’s still available undamaged when you return. You should pay a reasonable tip (a couple of dollars) to the guy who retrieves your car for you unless there’s been damage or really poor service, and you should remember to ensure any valuables in the car are either securely locked up or removed. Valet parking is extremely common in the LA region — nearly every decent restaurant or club or theater in places like Downtown, Beverly Hills, Santa Monica, or Hollywood will have valet parking; hotels will also usually have it as well.